Working in the Middle East was an amazing opportunity. 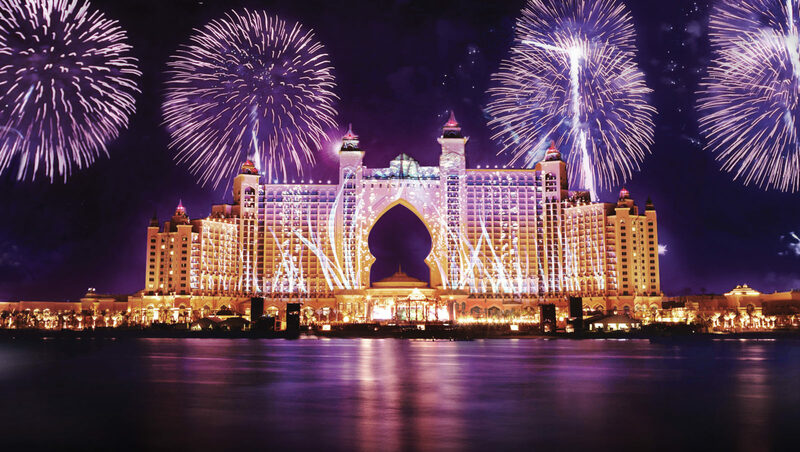 Atlantis, The Palm is one of the most luxurious hotels in the world, so we were allowed to really push the boundaries when it came to creating a premium product. 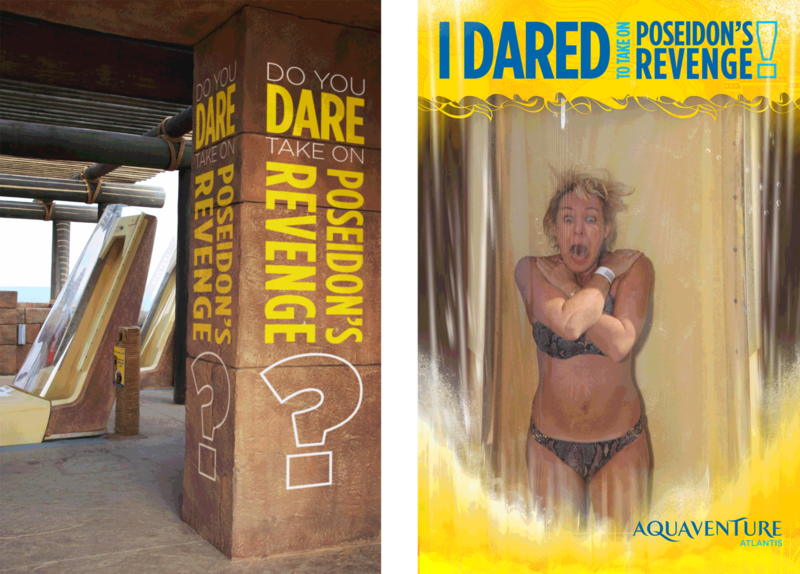 This brief was varied as well, although we created product for the one resort each attraction had a different theme. Getting the results the client wanted was exactly what we set out to do. How do you turn a range of photographs into a luxury product? As a well-known premium resort, Atlantis needed a range of photography products and merchandise that reflected the luxury values of their brand. Photography around the resort was disjointed and needed bringing up to the brand’s high quality standard. We worked with our client, Picsolve, who were appointed to develop a new image capture and photography product offering for the 5 star resort. After numerous site visits we worked closely with the marketing teams at both Atlantis and Picsolve to develop a range of premium photo experience products for Dolphin Bay, Aquaventure and the Resort including DVD packaging, photo presentation folders and custom designed USBs. A product with a high-quality finish was required for these premium photo albums. We developed the product using traditional English bookbinding and developed specialist adhesive pages for the photos to be held in place. The adhesive pages needed to ensure the photos would stay in place and could also be removed if required whilst lasting over time and withstanding the high temperatures in Dubai. 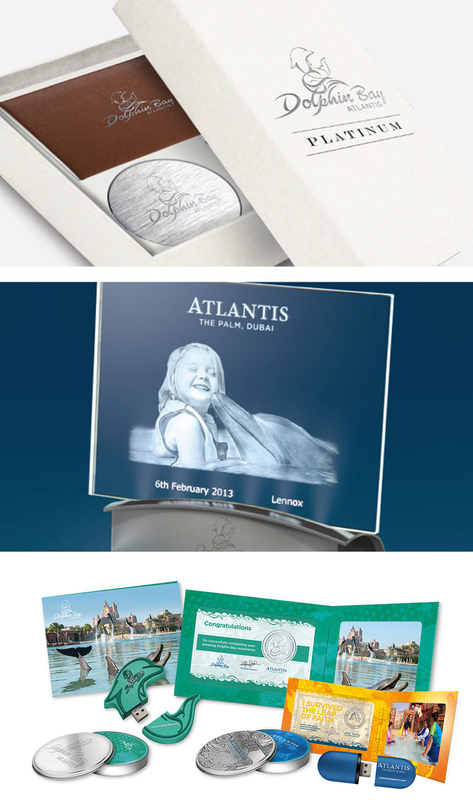 The end product is finished with a material cover and foil blocked branding for Dolphin Bay and Atlantis the Palm. 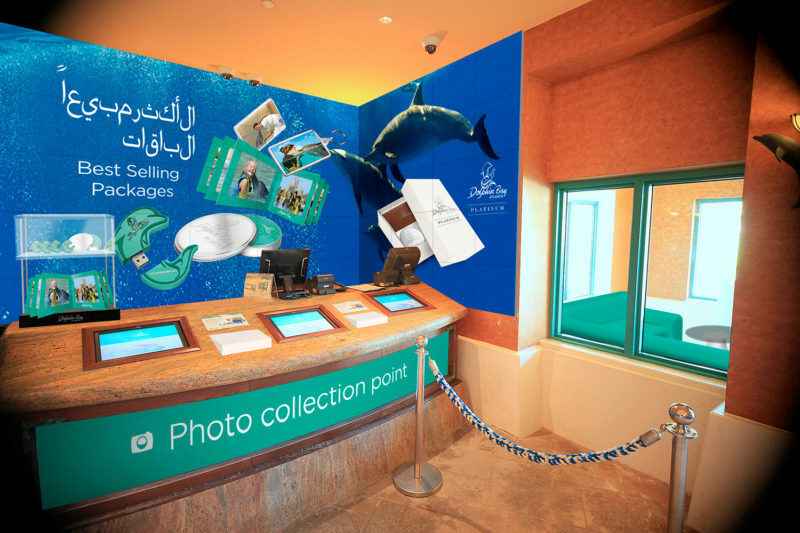 With a clear understanding of guest experience, we produced materials including promotional counter stands, queue signage and product POS to create a stand-out guest experience at the attraction that increased merchandise sales. This involved a full technical and retail switchover within a short timescale. We conducted a number of site visits, meetings with the Atlantis, The Palm brand team and established the design and product requirements. Concepts for POS unit designs and wayfinding signage for Aquaventure’s retail areas were Developed and contact was made with local suppliers for the production and install of POS materials. Design materials were created in English, Arabic and Russian. Templates were created for the promotional packages so these could be easily edited by the staff on site, by changing price points and products from the assets we provided. 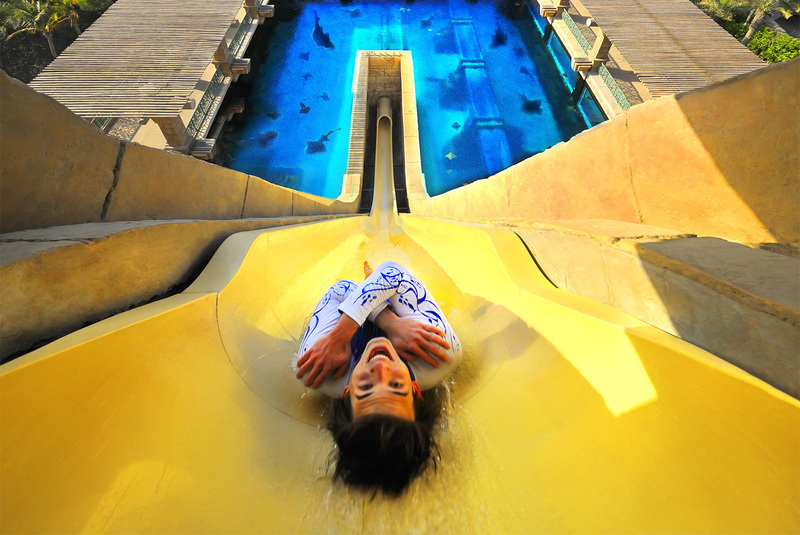 On the back of this improved guest experience, Atlantis The Palm saw an increase in spend per head, increase in dwell time and allowed the retail flow to work better.